CE approved semi-auto Vertical Flat Silk Screen Printing Machine LC-700P. This machine is high quality useful printing on PVC, paper, leather, package bag, ceramic, glass , silicone and plastic products. 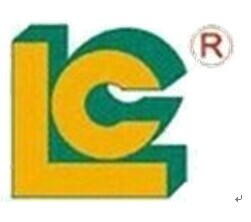 Luen Cheong Printing Equipment Limited is specializing in manufacturing LC brands including various Pad Printer , silk Screen Printer, Hot Foil Stamping Machine, UV Curing Machines & Cliche Making Machine for 25 years. We passed ISO-9001-2000 certification in 2001 and we are a member of SGIA and all of our industrial printers had passed EURO'S CE standard. There are customers from 98 countries to visit our factory and we had a good cooperation. We do business with customers from 98 countries and we had a good cooperation. Own production line with more than 25 years of experience in Pad Printing . help easily determine your order. Stable and reliable material suppliers chain support to ensure more lower cost and most competitive price. Looking for ideal Semi-automatic Screen Printing Manufacturer & supplier ? We have a wide selection at great prices to help you get creative. All the Paper Screen Printer are quality guaranteed. We are China Origin Factory of Plastic Sheet Screen Printer. If you have any question, please feel free to contact us.